2152a, CENTER CAP USED, 01-04 CHRYSLER, TOWN & COUNTRY, CHROME, BLACK, CENTER. CHROME & BLACK EMBLEM. 5 METAL CLIPS, 2-1/8" DIA. 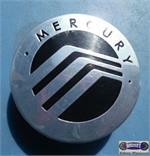 3054b, CENTER CAP USED, 93-96, MERCURY, GRAND MARQUIS, CHROME, BLACK CENTER, CHROME LOGO. 5 CLIPS & WIRE RING, 6-1/4" DIA. 3054b, CENTER CAP USED, 93-96, MERCURY, Grand Marquis, CHROME WITH BLACK CENTER, CHROME LOGO. 5 CLIPS & WIRE RING, TO FIT OVER LUG NUTS & WIRE, FOR 15" ALUM LACY SPOKE DESIGN. 6-1/4" DIA. 3456, CENTER CAP USED, 02-03, MERCURY, MOUNTAINEER, POLISHED, BLACK CENTER, POLISHED LOGO,12 RIVETS HOLES ON OUTER EDGE, 5 LUG NUT CLIPS, 6-3/4"
63721, CENTER CAP USED, 92-95, HONDA, CIVIC, CENTER CHROME WITH BLACK CENTER/ CHROME H IN CENTER, 4 CLIP, 2-1/4" DIA. FOR A USED 13", RIM 14 HOLE STEEL RIM. ALSO FITS 63725. 63790b. 74564, CENTER CAP USED, 03-06, KIA, MAGENTIS, OPTIMA, CHROME, BLACK CENTER, CHROME WORD KIA, PLASTIC CLIPS & WIRE RING, 6-1/4" DIA. 74564, CENTER CAP USED, 03-06, KIA, MAGENTIS, OPTIMA, CHROME WITH BLACK CENTER, CHROME WORD KIA IN CENTER, PLASTIC CLIPS & WIRE RING, 6-1/4" DIA. 977a, CENTER CAP USED, PONTIAC, 71-80, CHEVY, ASTRO, MONZA, SKYHAWK, STARFIRE, SUNBIRD, VEGA, CHROME, BLACK CENTER, RED LOGO. 4 CLIPS, 2-3/4" DIA. VOLVO DOG DISH HUBCAP USED, DD-0015, 9-1/2" DIA. X 7/8" OUTER LIP CHROME WITH BLACK CENTER & CHROME V IN CENTER, PUSH ON CAP.